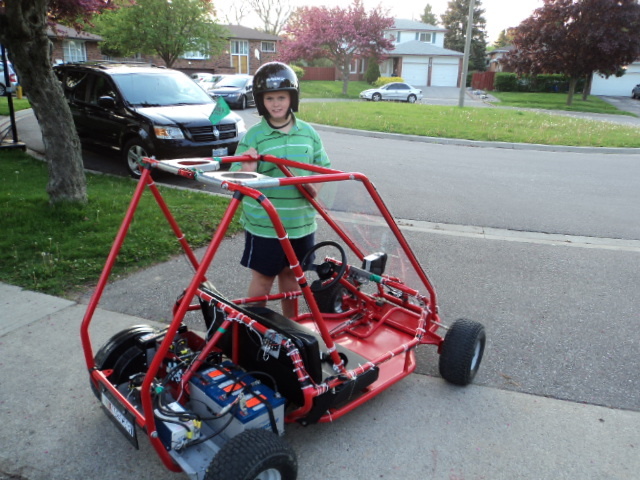 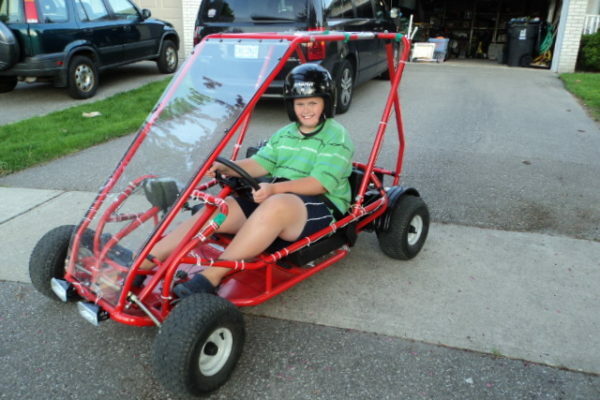 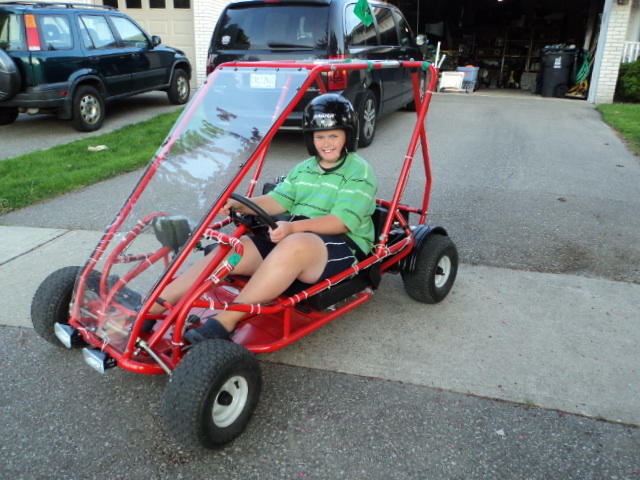 Andrew (with the help of his Father) built this awesome Green “E-Kart” Electric Go-Kart in a quiet suburb of Canada. 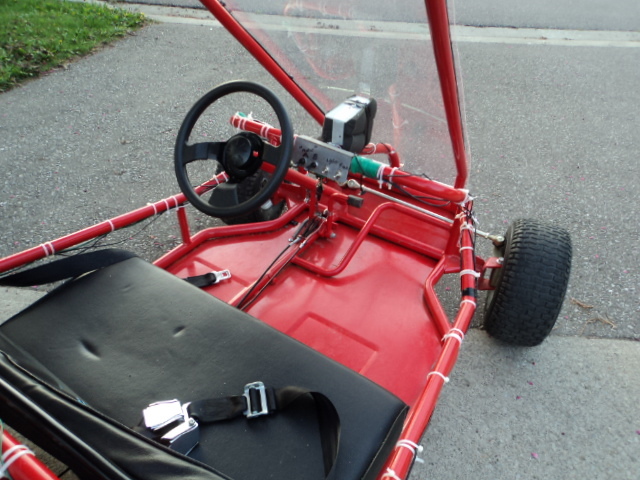 The Kart’s frame came with frame, tires and steering mechanism. 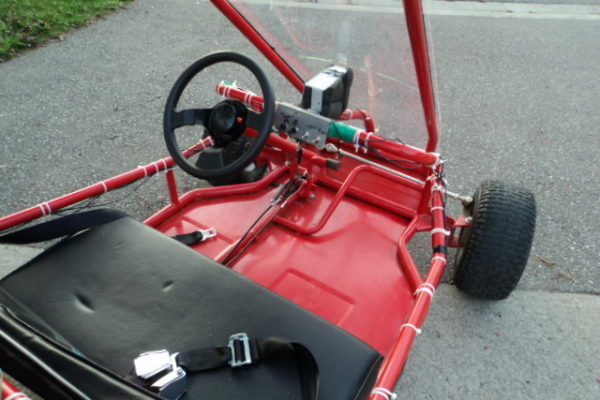 It was originally designed for gas motor so we had to do a lot of planning to organize the electric parts in their proper places. 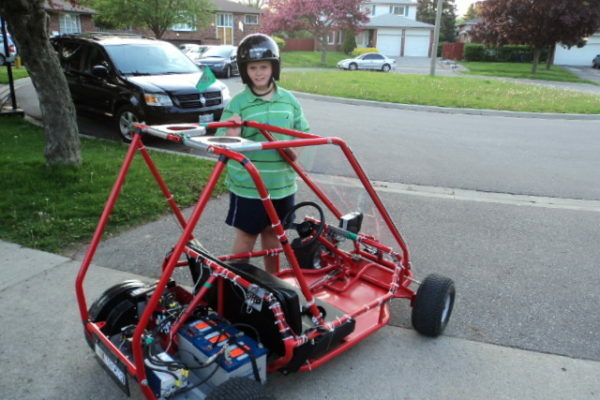 The body was purchased in March 2011 and we had it running by around June/July 2011 time frame. 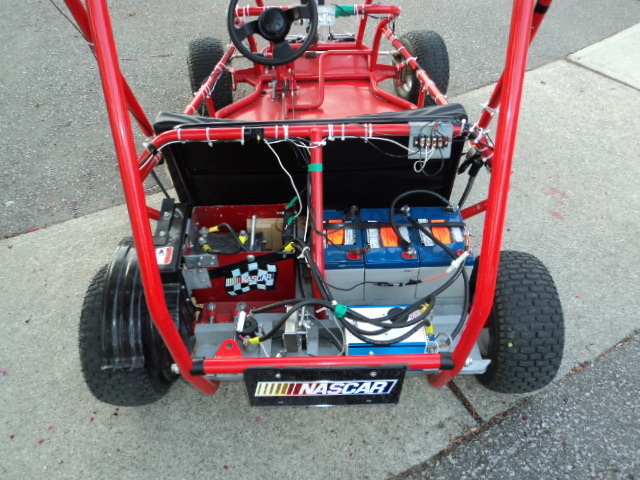 We are using 2 Gell batteries (24V) to run the motor. 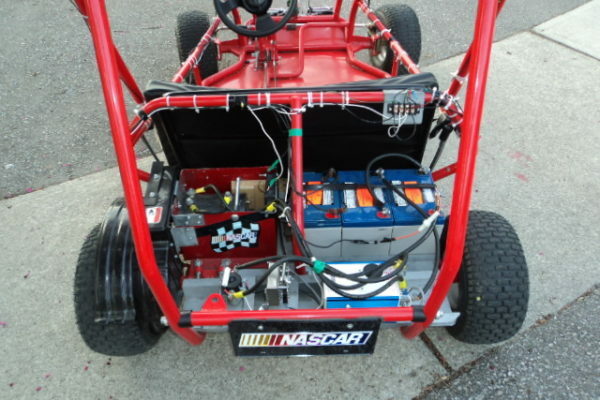 A third battery is being used to run the 12volt accessories like stereo/CD player, GPS, fan, and headlights.